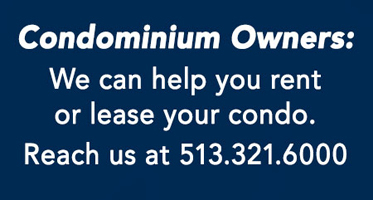 Information on The Cloisters Condominiums, Mt Adams Cincinnati. River view condos with a contemporary flair. General Information: The Cloisters was ground-breaking when it burst onto the scene. 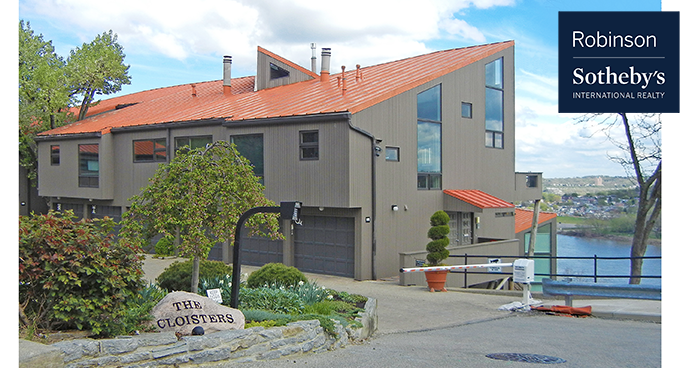 With a contemporary design, orange roof, and highly visible location, it became an instant landmark. This remarkable building takes full advantage of its prominent position as it cantilevers out from the end of Hatch Street. Unobstructed views of the Ohio River valley are the norm. Each residence has 2 bedrooms and 2 full baths. Some residences also have a half bath. Number of rooms range from 4 to 7. Residents enjoy tremendous convenience to downtown as well as the lively scene on The Hill - where some of the most popular dining and gathering spots are located. Since January 1, 2014, these residences have sold for between $155,000 & $380,000. We helped an owner sell their residence in 2014 for $372,400. Generally, HOAs range from $490 to $785/month. The Cloisters is a perfect location to view the Riverfest fireworks. Residents: Considering selling your property? Please reach us! We are part of a network of over 22,500 agents in over 950 offices in 70 countries. If interested in leasing your home, our sister company, CincyRents can manage that for you!